The Bollywood stars grace the covers of two Indian magazines this week. Two of the most iconic Bollywood ladies of the '90s are back! 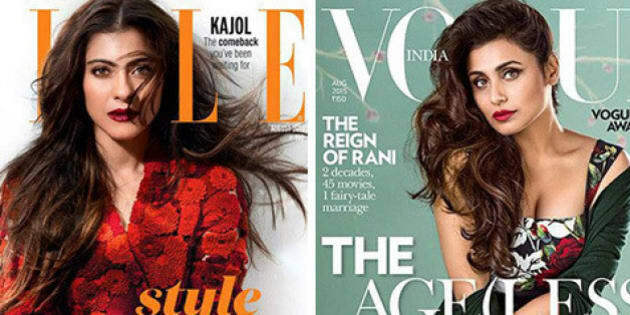 Your mom's favourites, Kajol and Rani Mukerji, both landed individual fashion magazine covers this week. Kajol (a.k.a. "Bollywood's Sweetheart") posed for Elle India donning a beautiful orange and purple Namrata Joshipura trench coat from the designer's fall 2015 collection and a stunning Dior bracelet. The 40-year-old actress topped her fierce cover with a dark red lip and left her long black highlighted hair loose. 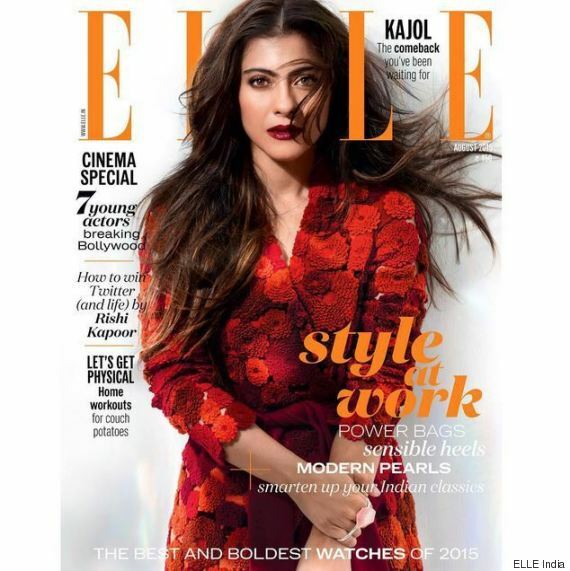 Labelled as the Kajol's comeback (woo! ), the August 2015 issue will be available online on Thursday. And while she will always be known for her unibrow, it seems like she has let go of it in the last few years. And just two hours earlier on Instagram, Vogue India also released their August 2015 cover girl actress Rani Mukerji. The 37-year-old ageless beauty looks stunning in a sleeveless floral Dolce & Gabbana summer dress paired with a forest green cardigan. The "Mardaani" actress topped her look, just like Kajol, with dark red lips and kept her hair to the side. Vogue's cover story will go through two decades of Mukerji in Bollywood, as well as her 45 movies and fairy tale wedding. And while both actresses have been missed in Bollywood cinema for a while now (Kajol was last seen in "Toonpur Ka Superrhero" in 2011, while Mukerji played Shivani in 2014's "Mardaani"), these are the comebacks we have been waiting for! What do you think of these covers? Let us know in the comments below.